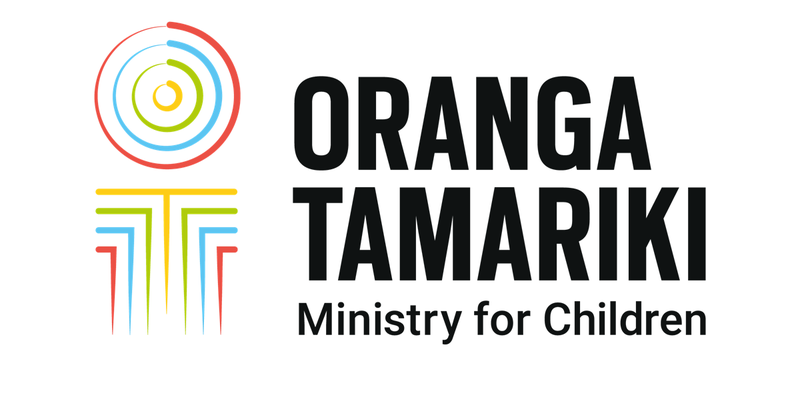 The Children’s Teams approach is a way of working to bring together existing services provided by agencies, NGOs, iwi, community members and other organisations in their support of at-risk tamariki. are responsible for the safety and wellbeing of each child in the team. While every team is different, there is a common process we can use to guide our journey. Referrals are reviewed by a professional panel, which decides whether a team approach is the kind of support the tamariki and their whānau needs. The child or young person and their family need to agree to participate. They actively engage in identifying their own needs, setting goals, and in planning and taking action to work towards their own improved wellbeing. A lead professional is assigned as their main contact. This development is led by the child and their whānau, steered by the lead professional and supported by a network of practitioners and professionals who are all working to the same plan. Once the child and their whānau are able to manage independently without the intensive coordinated response provided by Children’s Teams, they can go on to be supported within their community. reduce overlap and inconsistency involving other practitioners and agency services. Who can be a lead professional? Many professionals and practitioners, both government and non-government, can take on the lead professional role. The skills needed are the same regardless of background. This could include – but isn't limited to ­– social workers, health professionals such as nurses or child psychologists, and education professionals such as behavioural or special needs professionals. The person who takes on the role will focus on the specific needs of the child, and often will already have a working relationship with the whānau. Managers supervise lead professionals, and help them take part in peer or group supervision. Supervision is compulsory to support practitioners and professionals in achieving great outcomes. Interested in supporting what we do? Talk to your manager, or get in touch with your local Children’s Team. Child’s Action Networks (CANs) are made up of the child or young person, their parents and caregivers, and any practitioners and professionals involved in providing care, support and services. One member of the network takes on the role of lead professional. Each network is different, but all share the same goal of focusing on the needs of the child. Membership is flexible and changes with the child's needs. Each member of the network continues to work as they normally would with their tamariki. The network simply provides access to more resources, gives them a better understanding of what other members of the network are doing, and helps them to coordinate. supporting the lead professional by sharing information, offering guidance and advice. These support the establishment of Children's Teams and support and govern their operation at a local level. Each group is made up of community leaders and local agencies and organisations. Ultimately they make sure teams have what they need to work with at-risk tamariki and their whānau. The panel is a group of senior practitioners and professionals from across the social, education, health, police and justice sectors in their community. ensures there are no barriers to accessing their own agency’s services. The Children's Hub is a contact point for professionals and practitioners in Children’s Teams, where they can raise concerns about at-risk children and young people. It enables early identification of at-risk tamariki and takes proactive, preventative steps to address the needs of the child or young person and their whānau. When contacted, social workers in the hub start by making a balanced assessment of the risk to the child to determine if an immediate referral to our national contact centre is required. Emergency or critical calls received by the hub are forwarded straight to the national contact centre, or to emergency services like the Police. ViKI is an information management system for Children’s Teams and the Children's Hub. It records, stores and provides access to information and concerns about at-risk children and young people, including case management and reports on outcomes. Practitioners from different agencies, non-government organisations and service providers with appropriate access all use ViKI as part of their role working with the Children’s Team. Teams can share what they know about a child, and their family or whānau. It allows them to build a more complete picture of the situation and put together an integrated and coordinated plan of services to meet the child's needs.